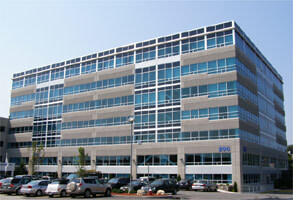 Approximately 200 client firms now occupy the 575,000 SF TradeCenter 128. Given its easily accessible location, LEED Gold pre-certification, green design and construction, prominent location, and plentiful on-site amenities, TradeCenter 128 has become a premiere business campus along Route 128/I-95. Many prominent Healthcare, Insurance, Financial Services, and Law Offices are now among the clients who call TradeCenter 128 "home." Software architects and medical services providers are also developing important clusters as well, including multiple medical affiliates of Winchester Hospital. Working with your business neighbors always makes sense, and Cummings Properties strongly encourages intra-park relationships whenever possible. The most obvious opportunities to do this are with facilities like Liberty Bay Credit Union, Strega Prime and our other food service providers, or YMCA day care, but there are certainly many more opportunities right here in TradeCenter 128, as the list below readily reveals. Additionally, click here for a comprehensive "yellow page" list of products and services offered by many other Cummings providers in the immediate area. AdvanDx, develops diagnostic tests for hospitals to identify pathogens, has raised $2.2 million out of a $6.1 million offering, according to federal filings. Age-Less Weigh-Less is an Independent practice offering medical weight loss and facial aesthetic services. The Company offers services and solutions customized to meet its client's goals, and offers convenient scheduling options, including in-home services. Call 781-569-5100 or info@ageweighless.com for additional information. Alivia Capital, is redefining financial technology. Their services range from risk management core banking to various professional services tailored to your needs. Allot Communications (NASDAQ: ALLT) is a leading provider of intelligent IP service optimization solutions for DSL, wireless and mobile broadband carriers, service providers, and enterprises. Allot's rich portfolio of hardware platforms and software applications utilizes deep packet inspection (DPI) technology to transform broadband pipes into smart networks that can rapidly and efficiently deploy value added Internet services. Allot's scalable, carrier-grade solutions provide the visibility, security, application control and subscriber management that are vital to managing Internet service delivery, guaranteeing quality of experience (QoE), containing operating costs, and maximizing revenue in broadband networks. American Cargo Express is an International Freight Forwarder and Customs Broker to include air and sea transportation, as well as full service warehousing and distribution. AMA Xperteye Incorporated is an all-in-one solution including hard- and software. The extensible plug-and-work smart-glass solution can be deployed instantly and without great IT effort in any organization, enables hands-free work in 3G / 4G / WIFI and LAN networks, but also functions offline, gets intuitively understood by employees, meets high data protection requirements, offers different smart glasses for individual requirements, helps to digitally bridge distances and thus quickly adds value to any operation in industry and healthcare. The Appraiser Guy, Inc. is reportedly the leading provider of real estate valuations for the mortgage lending market in Massachusetts, New Hampshire, Connecticut, and Maine. According to its website, the company provides appraisals for reverse, FHA, primary and secondary mortgages, mortgage refinancing, employee relocation, private mortgage insurance removal, and estate planning. The Appraiser Guy offers short turn-around times, highest-quality appraisal reports, on-line status reports, electronic ordering and delivery competitive pricing, and is FHA approved. For more information visit www.theappraiserguy.com or call 781-910-2352. ArcLight Consulting is reportedly a leader in Oracle HCM implementation services. Its unique delivery model, standardized approach, and proven experience enables the company to provide faster deployments leading to greater ROI. ArcLight’s founding team averages 15+ years of experience implementing Oracle HCM solutions. Founding members have held positions as clients, consultants, and developers of the product to ensure that ArcLight brings a balanced approach that is grounded in our deep knowledge of the tools. Avant Lasik Spa, a vision correction center, offers the latest in blade-free custom LASIK eye surgery technology, and its surgeon, Nilesh M. Sheth, MD, has reportedly performed more than 12,000 laser vision correction procedures. Dr. Sheth is both an ophthalmologist and a cornea and refractive surgery specialist with extensive experience in LASIK and other refractive surgeries. BankFive, an independent community bank, has been dedicated for more than 160 years to meeting the needs of the communities it serves through expertise, accountability, and integrity as a trusted resource for its customers. Bello Corpo Med Spa provides med spa services including skin rejuvenation, injectables, laser hair removal and other cosmetic laser services. Its vision is to offer the best options in non-surgical beauty solutions to its clients in an accessible, affordable atmosphere by using the latest advanced in the beauty of science. Bello Corpo Med Spa offers free consultations. 781-933-5484. Big Sky Bread Bakery and Cafe located in the Atrium lobby, is open weekdays from 7 AM to 4 PM. The café offers a full breakfast menu as well as smoothies and a juice bar. Many healthy options are available for lunch, including a variety of sandwiches, rice bowls, and Mediterranean salads. 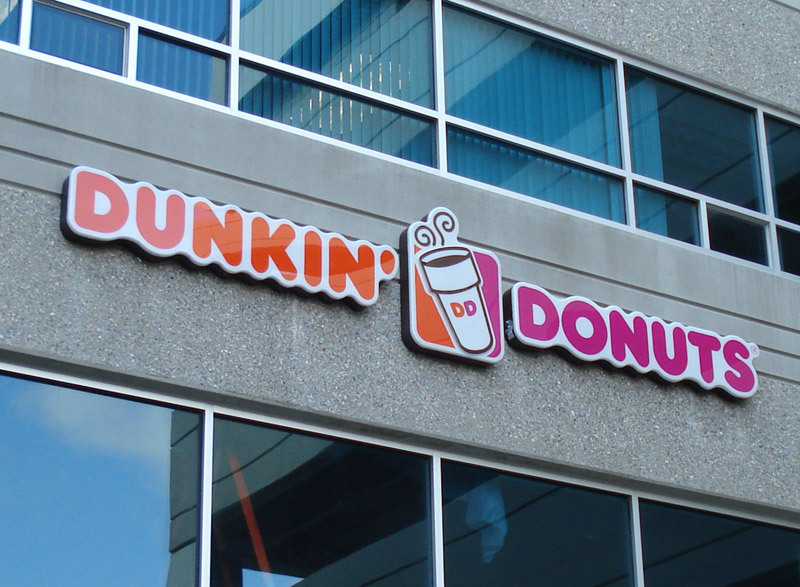 Please stop by to check out TradeCenter 128's newest eatery. Black Tree Technical Group is a full-service staffing and recruitment firm. Its team consists of an experienced group of senior technical recruiters and account managers with more than 50 years of industry experience. The company prides itself on its technical knowledge, innovative sourcing strategies, and most importantly, a long-standing record of proven results for both clients and job-seekers. Boston Dental P.C. reportedly provides the best and latest in dental technology and strives to utilize the newest technology to service patients. Its practice provides gentle, family-oriented dental care to adults and children, and utilizes the best equipment sterilization techniques available to dentists. Boston Dental emphasizes comprehensive quality care and preventive dentistry, with a goal to exceed patient expectations and be at the leading edge of the dental arena while providing modern, state of the art dental care in a warm, relaxed environment. Breakout Escape Games, a national firm offering adventure games in which participants follow clues and solve puzzles to escape a room before the clock runs out. Bricata supplies network security solutions that deliver innovative next generation intrusion prevention, advanced threat detection and analysis, and threat hunting to enable large organizations to actively pursue and identify advanced, persistent, and coordinated attacks. ClearChoice Dental Implant Centers offers dental implant care, with an entire dental team, lab, and support staff in the same center. The Copley Consulting Group helps organizations drive business transformation. With decades of experience with Enterprise Resource Planning (ERP) and analytics software, its mission is to guide organizations and help them enhance business processes and increase efficiencies in operations. With nearly 30 years of experience in consulting, Copley brings expertise in business systems, skillful collaboration, project management, and technical application support. Move into fully furnished executive office suites tomorrow. Enjoy the very best location, at highly competitive rates, directly overlooking I-95. Executive Office Suites are in the same building as Middlesex County Superior Court, at the highway end of the property, and overlooking Baldwin Pond. Watch the traffic sail by from your soundproofed office. Call Patricia Whelchel at 781-933-3335 to reserve any size full-service office. This Woburn / Burlington business center is managed by Patricia Whelchel. Dynamic Yield is reportedly the leading provider of omnichannel personalization and optimization solutions that automatically serve personalized and highly engaging experiences to visitors in real time. The Company's powerful proprietary platform helps marketers, retailers, and publishers maximize revenue by automatically quantifying, optimizing and personalizing every customer interaction in real time, without having to rely on IT. Engineering Simulation Scientific Software provides simulation solutions which can be customized according to a customers needs. Its multiphysics solutions and full portfolio of serivces is focused on simulation software sales, consulting services, custom development, training courses and technical support. EverQuote is a quantitative internet marketing firm focused on applying sophisticated mathematics and enterprise class technology to its online customer acquisition programs. Its proprietary, mathematically driven multi-channel campaign management and optimization platform delivers the high quality, scalable connections to auto insurance consumers that carriers and agents need to thrive today. EverQuote is an independent insurance marketplace and is not affiliated with any specific insurance carrier or any financial institution. FinAccurate was founded based on the philosophy of helping start-ups, small and medium size companies receive outstanding accounting and bookkeeping services at reasonable costs. The Company is built on the principles of professionalism, responsiveness, quality, and a focus of building lasting relationships. Findability Sciences provides software solutions for the cognitive era, providing BigData Analytics, Cognitive Applications, and Self-learning Predictions. Forestors Financial Services, is an independently owned and operated financial services firm that reportedly serves its clients through a network of registered representatives in offices coast-to-coast, connecting "Main Street to Wall Street." According to the company, its representatives work closely with clients and recommend investment and insurance products to help them prepare for retirement, fund their children's education expenses, reduce tax liabilities, and secure their families' financial futures. Foster & Eldridge, LLP practices primarily in the defense of health care providers in professional liability matters in the State and Federal trial courts, and representation of professionals before licensing boards and regulatory agencies throughout New England. Gardens Galore offers an array of fine art and gifts that inspire a love of nature and natural resources. Harbor Point Capital Management, 300 TradeCenter, Suite 3400, is a registered investment advisor providing expert fixed income and sophisticated asset allocation equity strategies for individuals and institutions. Its asset allocation process is based on currently available economic data and does not use economic forecasting to determine asset allocations remaining active, dynamic and liquid. For more info, please contact Charles Lavrentios at 781-281-0444. Please visit www.healthcaresource.com to learn more about HealthcareSource. HIGH FUNCTION FITNESS is a new full-service performance training facility providing physical assessment, personalized programming, and high-quality coaching to improve daily life and athletic performance. The facility is open Monday through Saturday. Visit www.highfunctionfit.com. InsideSales.com offers the industry's leading sales acceleration platform built on Neuralytics, a predictive and prescriptive self-learning engine that drives revenue growth by delivering an optimized experience for both salesperson and buyer. The platform fuels sales rep performance and provides buyer personalization with breakthrough innovations in predictive sales communications, engagement tracking, forecasting and rep motivation. Ivy Talent International Education Group provides international students with a full range of education services, including private high school placement, education finance counseling, academic tutoring, college tours, and more. Joseph Edward Kaye, MD, P.C., is a medical practice dedicated to guiding patients through the process of healthy aging and helping them to alleviate or reverse chronic illness. Dr. Kaye offers bioidentical hormone replacement therapy and customized nutrition, supplement, and fitness programs as well as standard and contemporary medical treatment. Lapels, 400 TradeCenter, Suite 5866, Woburn, offers 24 Hour Drop Box Dry Cleaning to TradeCenter 128 clients. Login VSI was created so that IT departments around the world can deliver the best end user experience in virtualized desktop environments. Desktop virtualization is complex. Whether its customers are in healthcare, financial services, the public sector or any other industry, complexity is a given and its goal is to add clarity, measurement and standards for the end user experience. M & R Strategic Services reportedly helps non profits achieve real lasting change. The company mobilizes supporters, raises money, and moves the media, the public, and decision-makers. 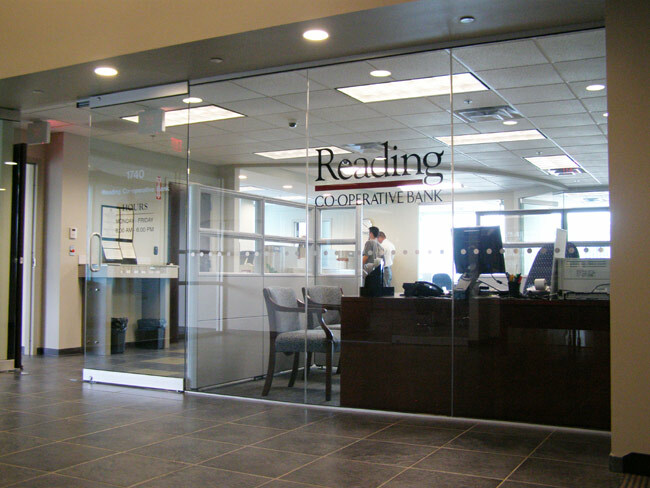 In 2013, M & R helped its clients raise $61 million. 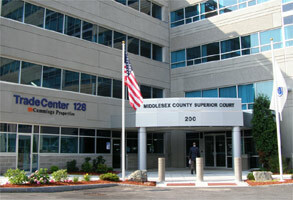 Now located at the center of the county it serves, the Middlesex County Superior Court is fully operational in its brand new and highly efficient 139,000 square foot courthouse at TradeCenter 128. Court officials, attorneys and, most of all, the daily jury pools all compliment the new-found convenience of this stunning new facility, only yards from I-95/128. Parking is free and abundant, and on-site restaurants, MBTA bus service and other amenities add greatly to the rave reviews. Inside, there are custom-cut, customer-friendly, talking elevators and every courtroom has expansive window lines and solid oak trim finishes. Mitsubishi Heavy Industries America possesses expertise and technological capabilities as a provider of engineering, manufacturing and servicing operations for power generation facilities. Montpelier Technical Resources provides financial and technological services to the Montpelier Group, an international company with offices in Bermuda, the United States and Europe. It reportedly provides customized, innovative and timely reinsurance and insurance solutions to the world market. Through its subsidiaries, the Montpelier Group underwrites a global portfolio of insurance and reinsurance business and offers a range of specialty lines including aviation, personal accident, catastrophe, workers' compensation and terrorism. Nanosurf is a leading manufacturer of atomic force microscopes and scanning tunneling microscopes. Its full range of AFM and STM products is trusted by professionals worldwide to help them visualize, analyze, and manipulate objects and surfaces at the nanoscale. Nanosurf microscopes excel through their smart design, innovative technology, and intuitive operation. New Field International Education USA provides comprehensive high school and college application and placement services for students. The company also provides 360°, 24/7 off-campus services to make sure students adapt to American culture and life smoothly. Next Step Healthcare focuses on recruiting and retaining talented leadership for all of its skilled nursing facilities and supports them in delivering high quality care. From there, they identify, train and cultivate staff that share its values: a focus on quality healthcare delivered in a compassionate, welcoming environment. Since 1857, Northwestern Mutual's strength and stability have backed its promise to be there for clients when their financial security is tested. As a mutual company, the company touts its focus on clients' long-term needs - not just selling a product or answering to shareholder demands. Backed by Northwestern Mutual's exceptional financial strength, the company offers its solutions through a broad range of insurance, investment, and advisory channels to those in all stages of life, including strategies to overcome financial challenges encountered along the way. Oasis Outsourcing Acquisition 300 TradeCenter, Suite 1400, is a provider of human resources services, payroll administration, benefits administration and risk management services for small to mid-size businesses. For a complimentary consultation, call 888-627-4735. Old Cove Integrators d/b/a Smart Homes by Old Cove, is a leader in high-end residential smart homes, specializing in professional automation systems. The company integrates control systems for lighting, shades, networks, audio, video, surveillance, HVAC and power management. 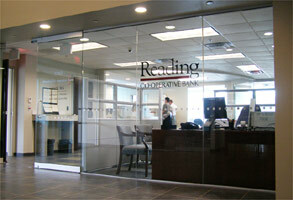 Its systems are custom-tailored to provide fortified, easy-to-use solutions for a variety of needs. Ossio is an orthopedic fixation company committed to transforming the orthopedic experience for patients, physicians, and payors. Its vision is to provide the first credible replacement to metal implants in the $10B+ orthopedic fixation market (screws, pins, plates) with an Intelligent Bone Regeneration Technology. OSSIOfiber™ represents a breakthrough material platform for orthopedic and podiatric surgeons who seek a more biologically friendly way to restore mobility with nothing permanent left behind. Pinnacle Private Wealth Provides clients with in-house specialists for matters of planning in the areas of tax, investment, retirement, insurance, education, and estate. The firm consists of independent financial advisors with LPL Financial, reportedly the largest independent dealer/broker in the United States for 13 consecutive years, and is built on a solid foundation of excellent client service and in-depth market knowledge. Priority Funding provides working capital loan alternatives to small and medium sized businesses, ranging from restaurants and salons to private medical practices and retail stores. The company even provides workng capital loans for automotive and trucking needs. ProEx Physical Therapy, is a people focused group of physical therapy professionals that strive to provide individualized clinical treatments to their patients for optimum results. Every opportunity is taken to educate the patients in a way that is easily understood, so he or she will be informed, involved, and empowered through the entire treatment process. 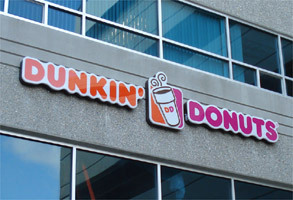 In addition to its flagship Woburn practice at TradeCenter 128, ProEx has other locations in Boston and Springfield, MA as well as New Hampshire and Connecticut. A mortgage firm that seeks to originate the highest quality loans by providing the best price, service, and technology. ReproSource is reportedly the largest national reference laboratory focused on fertility testing, and a leading source of fertility research and information. The firm specializes in fertility testing and high-risk pregnancy diagnostics, and offers fertility research and information and proactive diagnostic fertility evaluation services. ReproSource notes it also provides various tests in the areas of reproductive failure, including unexplained infertility, recurrent pregnancy loss, and premature ovarian failure. Sage Refined Products, Ltd., 300 TradeCenter, Suite 7740, reportedly offers voice and electronic brokerage services for refined energy trading requirements. Its services allows clients voice access to stock quotes and market updates, anytime, anywhere, and can be used with or without brokerage assistance. 781-995-2060. Originating from a solo-practitioner's ambition, the firm of Shapiro Law Group, PC prides itself on being directly connected with its clients. The company has always been driven to provide sound, capable advice for every client, while always placing an emphasis on the intimacy and transparency of the attorney-client relationship. While Shapiro Law Group concentrates in the areas of Divorce & Family Matters and Estate Planning & Probate, it serves the interest of its clients. 339-200-9933. SHP Financial offers independent planning advice and concepts devoted to the conservation of assets and lifetime income. Since starting out in 2003, the company has grown to a mature firm with six offices and a team of 19 employees who all share the same integrity, work ethic, and passion to help clients. Summit Financial Partners works with clients to assess their retirement needs and offers products and services to help make informed decisions about their future. Symmetry Sports offers a wide range of comprehensive services to meet the needs of adults, seniors, and pediatric patients. Its team of professional caregivers specializes in providing personalized medical care, rehabilitative therapy and companion assistance. Techlogix, Inc., a global consulting and IT services company with more than 250 employees worldwide, specializes in business intelligence and data warehousing, business process management, enterprise application integration, IT governance, enterprise applications, and software product engineering. Techlogix notes it provides expert business process analysts and strong technology implementation teams, who translate corporate strategies into creative, robust, and effective systems to leverage a client's unique competitive advantage. Transition Solutions was established in the mid-1980's as an executive outplacement services firm. It coordinates employment separations in multiple locations for individuals and small groups, as well as plant and office closings. The firm offers a range of transition support services including customized coaching and career development programs. Trilogy Financial Services, Inc. advises families, individuals and businesses, helping guide wealth with prudent planning and years of collective wisdom and experience. Trilogy states that it takes pride in providing unbiased, independent, guidance, assisting its clients to help them achieve their most worthwhile financial goals. Trilogy's approach to financial planning is to look at the whole picture which includes investment, estate and tax planning. Since Trilogy does not own or have any ownership interest in any financial or insurance products they will provide you with objective guidance. Trilogy invites you to discover a central, powerful resource for your financial service needs... an independent company that designs its services around you, to create a level of financial care that's second to none. Securities offered through NATIONAL PLANNING CORPORATION (NPC). Member FINRA, SIPC. Advisory services offered through NPC, a Registered Investment Adviser. Trilogy financial Services and NPC are separate entities. Triverus Consulting is a provider of IT managed services. It understands the value of partnership and focuses on outcomes achieved instead of effort expended. The company strives to create a differentiated experience for its clients through sustained delivery and consistent client services. It invests the time to build trusting client relationships based on results and a deep caring for their success. TrustFort works with financial services companies to spur growth and gain a competitive edge in the marketplace. The products and services the company provides are product design, system architecture, application development, web applications, web portals and system integration. When you are considering a new product initiative, Trustfort's strategic team will reportedly help you to reduce time to market, eliminate needless expenditures, leverage existing technology, and build on existing processes. Supplying a wide selection of grass-fed organic beef and lamb to restaurants and grocers. Since 1898, the dedicated people at W.B. Mason have been passionate about bringing their superior delivery and outstanding personal service to a variety of businesses for all office supply and office furniture needs. More than 100 years later, the hard work has paid off, as W.B. Mason has reportedly grown to be the largest of any privately owned office products dealer in the United States. Stop by its showroom located in 272 West Cummings Park or call Jeff DePaul at 888-926-2766.
and to get you back to doing the things you want to do." More than 50 percent of Winchester Hospital Chiropractic Center patients are referred by their primary care physician, internist, or other specialist. Cummings Properties was pleased to donate a small, ground floor facility to serve as a meeting and display room for the Woburn Historical Society. It is anticipated that the Society may, from time to time, set up short-term public displays as well. For more information, contact Peter Lennon at pjlennon@lennoninsurance.com. WorldTech Engineering is an architectural/engineering firm that reportedly provides comprehensive solutions, from funding assistance and design, through construction administration and project completion, for federal, state, municipal and private sector clients. According to company officials, WorldTech's focus is to provide high quality service, innovation in design and planning, cost effective and functional projects, and a high level of response to clients. Zoom Technical Services is a national firm specializing in placing Hardware, Software and System Engineering contractors in all phases of electronic product development. With the goal of providing accurate, flexible, and immediate options to the entire spectrum of the national job market, Zoom is focused on understanding and meeting its clients' needs. Zoom Technical's client base reportedly includes aerospace and telecom companies, Fortune 500 firms, and the leading national defense firms in the country. To ensure that clients receive the benefit of the best engineering talent in the country, Zoom Technical notes that employees must complete an extensive training program, focusing on three major areas -- networking, referrals, and building relationships. All listings must conform to Website standard, especially as regards size and style of type face, length of listing, good grammar, and proper attribution of any claims made. 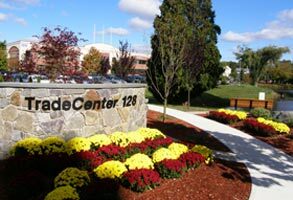 Located within 10 or 12 minutes of both Lahey Clinic and Winchester Hospital, TradeCenter 128 is ideal for businesses in the healthcare industry. Its accessibility, easy to find location, covered parking, covered drop-off, MBTA bus, and on-site amenities offer convenience and comfort for clients and their patrons. Law offices are afforded the opportunity to be located in the same building with the new Middlesex County Superior Court at TradeCenter 128. 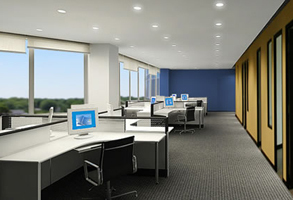 In addition, TradeCenter Executive Office Suites has offices for short or long-term rentals too. Now located at the geographic center of the area it serves, the Middlesex County Superior Court is fully operational in its brand new and highly efficient 139,000 square foot, six-story courthouse at TradeCenter 128. Court officials, attorneys and, certainly also, the daily jury pools, all compliment the new-found convenience of this stunning new facility, only yards from I-95/128. Garage parking is free and abundant, and on-site restaurants, MBTA bus service and other amenities add greatly to the rave reviews. Inside, there are customer-friendly, talking elevators and every courtroom has expansive window lines. The courtroom finishes or solid oak trim and black granite judges benches add substantially to the understated practical elegance of this highly efficient and extraordinarily cost-effective facility. Pinnacle Private Wealth, LLC Provides clients with in-house specialists for matters of planning in the areas of tax, investment, retirement, insurance, education, and estate. The firm consists of independent financial advisors with LPL Financial, reportedly the largest independent dealer/broker in the United States for 13 consecutive years, and is built on a solid foundation of excellent client service and in-depth market knowledge.